Dortmund, October 01 (FKS/BASUG): In the German City of Dortmund, integration and inclusion have always been important.This applies as well to the inclusion of people with different abilities as to the integration of migrants and refugees. And for some years Dortmund is having particularly good relationships to Bangladesh. 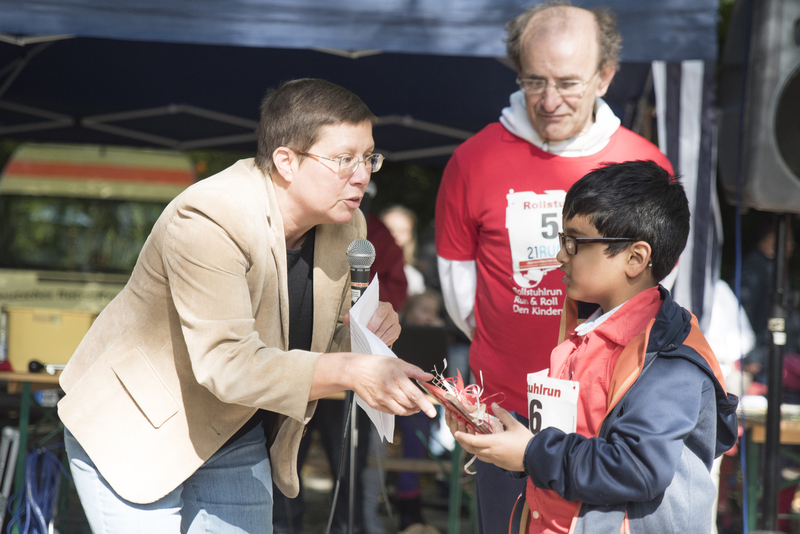 On the first Sunday in October, “For Kids Sake” organized their second „Rollstuhlrun – Run & Roll“ in the beautiful Romberg Park in Dortmund. Elderly wheelchair riders, disabled people, runners from Bangladesh, Africa, Nepal and Germany all came to celebrate and run and roll for the benefit of orphan and school children in Bangladesh. Dortmund’s Mayor Zoerner was the patron of the event: “This is a great event that connects three positive i-tems: inclusion, integration and internationality!” were her opening remarks. And then she congratulated Shaker, a young Bangladeshi living in Dortmund, to his 8th birthday! Bikash Choudhury Barua, Chairman of BASUG, along with the BASUG officials from the Netherlands and Germany joined this event! Altogether, 150 runners and rollers from Bangladesh, Nepal, Africa and Germany participated; the youngest was 8 years old and the oldest wheelchair runner 95! More than 1000 people witnessed and participated in this feast with music and catering for integration and inclusion. With the help of runners, rollers and sponsors, For Kids Sake has raised more than 7000 Euro to support kids in rural Bangladesh. The next Rollstuhlrun in Dortmund, for the benefit of Bangladesh, will be on Sunday, September 16 in 2018.